Visiting Rabbi de Beck Spitzer was the star turn at Edinburgh’s ShabbatUK events, as he not only served as their Scholar-in-residence, but also led some services and even gave a musical performance on the Saturday night. There was a great sense of community spirit, right through from the communal Friday night dinner to the closing ceremony which left participants on a high as Shabbat went out. We had a Friday Night Dinner and Shabbat Lunch. This brought the whole Community together on both occasions with a lovely atmosphere and we were part of the Shabbat UK weekend. We had a guest speaker on Friday Night and also Shabbat lunch. Both occasions brought the whole community together, which made us part of the wider Jewish Community and part of Shabbat UK. 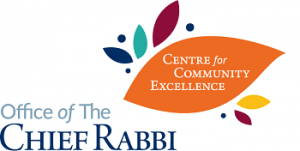 ShabbatUK in Edinburgh focused on encouraging Cheder families, many of whom are not observant, to come to shul, the children had their own service and the families stayed for lunch. This was preceded by the speaker doing ‘Torahgami’ with the families – an activity which involved them all proactively and very enthusiastically. Other adults became involved in the accompanying parshah discussions. This was a new Shabbat experience for many – as was having cholent on Shabbat! Both meals were enjoyed greatly and we received many compliments – our members love being together at a communal Friday Night Dinner. Having involved other people in the preparation gave community members a feeling of ownership, contribution and involvement.